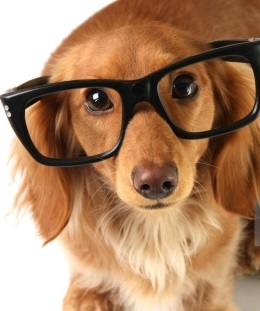 The Proof is In: Dogs Smarter than You Thought – FIREPAW, Inc. Dogs really can understand what we’re saying to them, according to a new study that seems to confirm the dearest wish of many a dog-lover. And yes, that does mean if you say a mean thing to a dog in a friendly tone, the dog knows. The scan results showed that dogs, like humans, process vocabulary and tone with different sides of the brains and then combine the information to find meaning. In humans, the left hemisphere holds Broca’s area, which is heavily used for understanding language. Dogs, too, use the left side of their brain to process vocabulary, and recognize each word as distinct. They also process tone separately in the right side of the brain, just like us. Most importantly, dogs are smart enough not to be tricked by gibberish said in a happy voice. They can put vocabulary and tone together, and the reward areas of their brains are most active when they hear both positive words and positive tones.